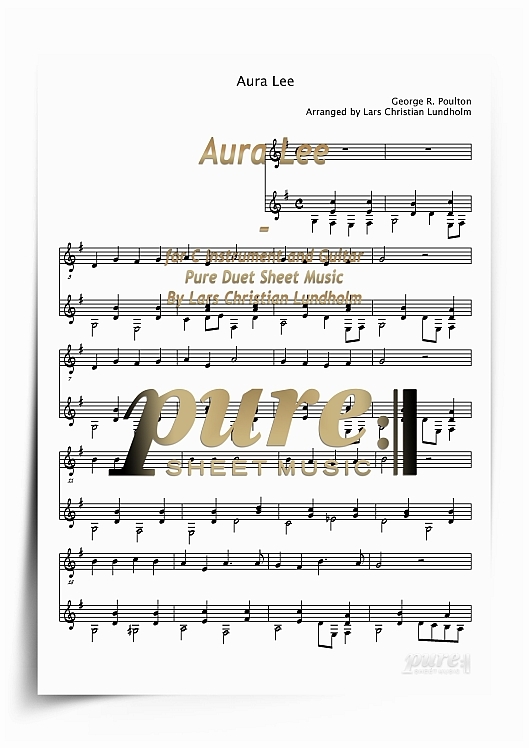 Aura Lee composed by George R. Poulton and with words by W. W. Fosdick is an American Civil War song from 1861. The Elvis Presley song Love Me Tender with lyric by Ken Darby is a derivative adaptation of Aura Lee. Aura Lee is also known by alternative title: Love Me Tender, Aura Lea. Duet Sheet Music for C Instrument accompanied by Guitar arranged by Lars Christian Lundholm.